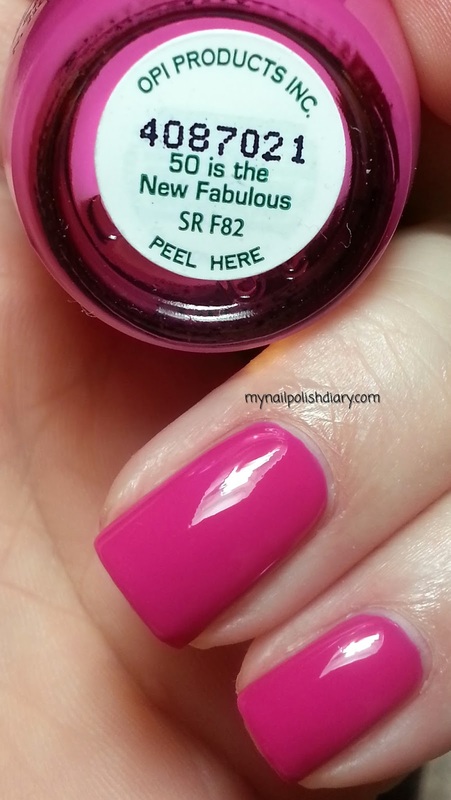 OPI 50 Is The New Fabulous is a gorgeous berry pink creme. Fuchsia maybe? I LOVE, love, love this shade of pink! I probably wear it once a week! Application was a dream. This is two coats with top coat. Gorgeous! Can't wait to get my hands on this one! Tami - have you seen OPI Suzi Has a Swede Tooth? I picked that one up as well and will be wearing it next! Another gorgeous pink!